- Tap 12 area to change the color markers and hand hours. - Touch area 6 to change the color hand minutes. - Tap center to zoom and remove bezel. 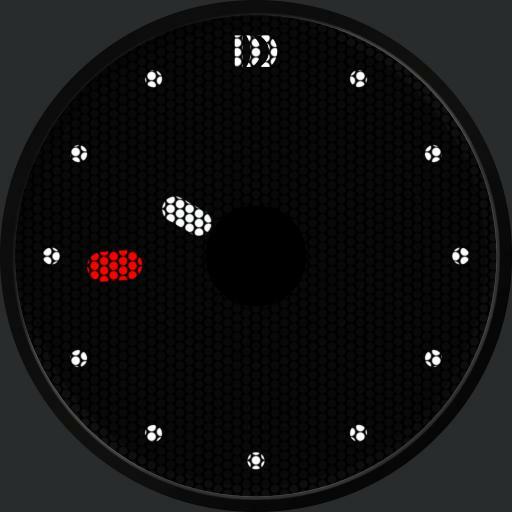 - Tap 3 area to cycle dim modes, Auto Always, On Normal, Always On, Off and Auto On. Default is Auto Always but can be changed in script to your liking. Glass effect by Sean Grondin.